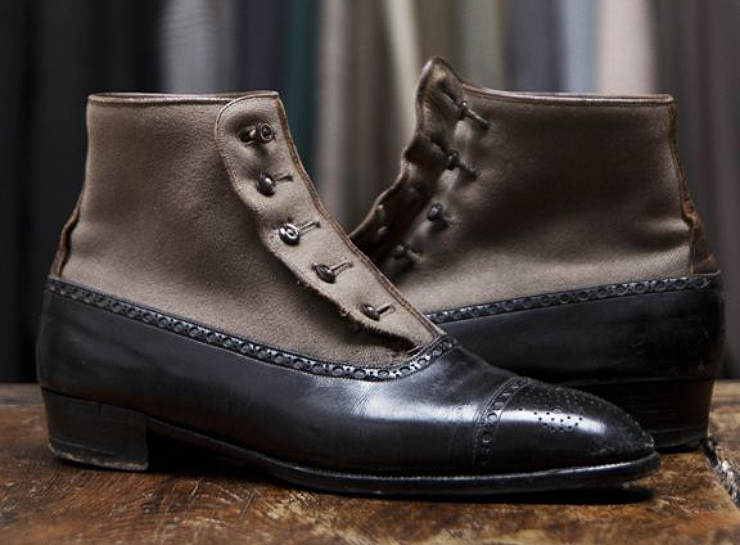 Spats is a shortening of ‘spatterdash’ or ‘spatter guards’, a sartorial concept born in 18th Century England as a protective accessory for military officers’ boots against mud. By the early 20th century, spats or gaiters were widely worn by both men and women and even integrated into shoes and boots. 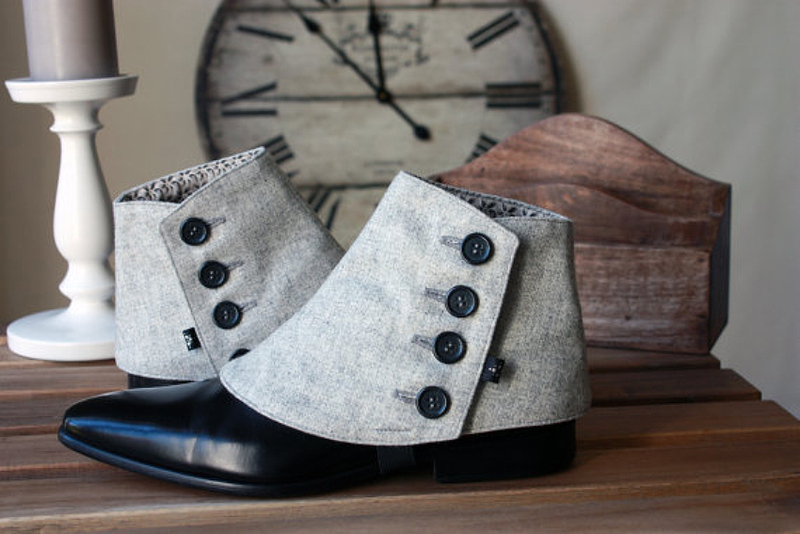 Despite its practical purpose, spats also served as a stylish footwear accessory in accordance with the fashion of that period.